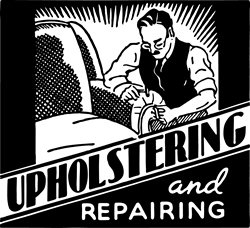 Sarasota Upholstery and Fabric including upholstering service, furniture upholstery, re-upholstery including auto upholstery and car upholstery. We also offer discount fabrics. Best Bargain Fabrics & Upholstery specializes in upholstery in Sarasota, Florida. We are happy to offer quality, experience, and exceptional service to our customers in Sarasota and Manatee counties for over 39 years. We have been operating as a local family-owned fabric and upholstery business since 1971. Stop by our fabric and upholstery showroom in Sarasota, and see for yourself our great selection of hundreds of fabrics in stock as well as our vast variety of special order fabrics. 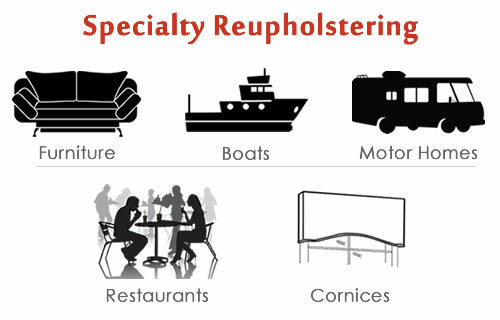 Our custom upholstering and reupholstering services include: furniture, boats, motor homes / RVs /, restaurants, cornice boards, and custom-made slipcovers. Furniture Pick-Up and Delivery is FREE with a minimum order of $800. Call now for a free estimate! Let us show you customer service, value and selection at their very best.